The Willits Surname is English in origin. Andrew Willits may have been the father of Richard Willits. He was born and raised in England and was married to Jacomina Goad. Richard Willits was born circa 1618, probably in England. He died on June 9, 1665 in Hempstead, Nassau Co., New York. He was in New York by the time he reached adulthood and married Mary Washburn in the late 1640's. They lived on Long Island, New York, and had at least one child: Thomas (see next generation). Richard died at Hempstead, NY, on June 9, 1665. His widow Mary apparently died on December 12, 1713 at Jericho, New York. Richard married Mary Washburn circa 1645-1649 in Hempstead, Nassau Co., New York. She died on December 12, 1713 in Jericho, Nassau Co., New York. Thomas Willits was born in March 1651/2 at Hempstead in what is now Nassau County, New York. He died on June 15, 1714 in Islip, Suffolk Co., New York. He lived at Jericho, Long Island, where he married Dinah Townsend in about 1671. They eventually settled at Islip in Suffolk County, New York. He and Dinah had 5 known children: Richard, Amos, Thomas Jr. (see next generation), Dinah, and Isaac. Thomas apparently died at Islip, Long Island, on June 15, 1714. His widow Dinah died there on December 18, 1732. Thomas married Dinah Townsend circa 1671 in Jericho, Nassau Co., New York. She was born circa 1651 in Warwick, Kent Co., Rhode Island. She died on December 18, 1732 in Islip, Suffolk Co., New York. 4 Dinah Willits was born circa 1690. 5 Isaac Willits was born circa 1694. Thomas Willits was born on March 16 (or 11) 1682 at Jericho, in Queens (now Nassau) County, New York. He died circa 1772 in Berks Co., Pennsylvania. Thomas was raised on Long Island where he was also a member of the Quaker faith. He was married at Brookhaven, Long Island, to Catherine Hallock on October 24, 1706. Thomas and Catherine had 5 children: Clement, Hannah, Jesse, Amy, and John. Sadly, Catherine died in 1718, aged about 34. Thomas married second to Rachel Powell on March 24, 1719/20 at Westover in Queens (Nassau) County, New York. They lived there until 1736, when Thomas moved with his family to frontier land at Olney Township in Philadelphia (now Berks) County, Pennsylvania. Thomas and Rachel had 5 children together: Rachel, Elizabeth, Isaac (see next generation), Jemima, and Isaiah. Soon after moving to Pennsylvania, they moved to what is now Lebanon County, Pennsylvania. They remained there until the 1740's when they moved to Maiden Creek Valley and in 1750 moved to the Blue Mountains, which as I understand it was in Berks County, Pennsylvania. At one time during the French and Indian War, Thomas' home was burned down during and Indian raid. During this time most of Thomas' children were disowned from the Quaker faith but Thomas remained a Quaker. He probably died in the year 1772 in Berks County, Pennsylvania. He would have been about 90 years old. His widow Rachel died in about 1793 or 1794, and was at least 96 years old. Thomas married first Catherine Hallock on October 24, 1706 in Brookhaven, Suffolk Co., New York. She was born in 1684 in Southold, Suffolk Co., New York. She died in 1718 in Islip, Suffolk Co., New York. 1 Clement Willits was born on September 15, 1709 in Islip, Suffolk Co., New York. She died on June 5, 1772 in Jericho, Nassau Co., New York. 2 Hannah Willits was born on December 6, 1711 in Islip, Suffolk Co., New York. She died on September 23, 1755 in Westbury, Nassau Co., New York. She married Thomas Seaman on February 3, 1740/1 in Nassau Co., New York. 3 Jesse Willits was born on February 19, 1713/4 in Islip, Suffolk Co., New York. He died in 1782 in Berks Co., Pennsylvania. He married Elizabeth. 4 Amy Willits was born on December 16, 1716 in Islip, Suffolk Co., New York. She died in 1760. She married William Hughes on June 1, 1738 in Pennsylvania. 5 John Willits was born in 1718 in Islip, Suffolk Co., New York. He died on March 1, 1769 in Brunswick Twp., Berks Co., Pennsylvania. Thomas married second Rachel Powell on March 24, 1719/20 in Queens Co., New York. She was born on February 18, 1696/7 in Old Westbury, Long Island, New York. She died after 1793 in Columbia Co., Pennsylvania. 1 Rachel Willits was born circa 1720 in Islip, Long Island, New York. She married John Webb in February 1747/8 in Berks Co., Pennsylvania. 2 Elizabeth Willits was born circa 1725 in Islip, Long Island, New York. she died on December 12, 1753 in Berks Co., Pennsylvania. She married Samuel Hughes on June 20, 1747 in Maiden Creek, Berks Co., Pennsylvania. 4 Jemima Willits was born circa 1731 in Islip, Long Island, New York. She died after 1808 in Harmony, Iredell Co., North Carolina. She married John Green in January 1750/1. 5 Isaiah Willits was born on December 12, 1733. Isaac Willits was born in about 1730 in Old Westbury on Long Island, New York. He died in October 1784 in Catawissa Twp., Northumberland Co., Pennsylvania. In 1736, when Isaac was about 6 years old, his parents moved away from the hustle of New York and went to the frontier of Pennsylvania. They settled in an area near the Schuylkill River in Berks County, Pennsylvania. During the French and Indian War, Isaac and his family lived in dangerous areas and became enraged with raids on their families and neighbors. Isaac decided to join the militia to protect his community. In January 1757 he was disowned from the Quaker faith because he decided to take up arms. Isaac was married to a woman named Elizabeth (maiden name possibly Wilson) in about 1761. Isaac and Elizabeth had 11 children: Thomas, Margaret, Samuel, Isaiah, Ruth, Isaac, Amos, William, Jesse, Rachel, and Levi (see next generation). Sometime after being disowned from his faith in 1757, Isaac moved out west and settled at Catawissa, in Northumberland (now Columbia) County, Pennsylvania. He died there in 1784. Isaac married Elizabeth circa 1761 in Pennsylvania. He was born circa 1735 and died after 1777. 1 Thomas Willits was born on April 12, 1764 in Berks Co., Pennsylvania. 2 Margaret Willits was born circa 1764 in Berks Co., Pennsylvania. 3 Samuel Willits was born on July 21, 1766 in Berks Co., Pennsylvania. He died on August 22, 1842 in Rush Co., Indiana. He married Elizabeth Thornton. 4 Isaiah Willits was born on September 15, 1768 in Berks Co., Pennsylvania. He died on May 3, 1821 in Catawissa, Columbia Co., Pennsylvania. He married Rachel Willits on September 14, 1794. 5 Ruth Willits was born circa 1772 in Catawissa, Northumberland (now Columbia) Co., Pennsylvania. She died in 1844 in Muscatine, Iowa. She married Edward Thornton. 6 Isaac Willits was born circa 1774 in Berks Co., Pennsylvania. 7 Amos Willits was born circa 1779 in Catawissa, Columbia Co., Pennsylvania. 8 William Willits was born circa 1781 in Pennsylvania. He died before 1860 in Wayne Co., Indiana. 9 Jesse Willits was born in November 1770 in Pennsylvania. He died on July 7, 1842 in Eliza Twp., Mercer Co., Illinois. He married Sarah Van Horn. 10 Rachel Willits was born on January 9, 1777. She died on September 9, 1816 in Wayne Co., Indiana. She married Isaac Willits. Levi Willits was born on December 29, 1777 in Catawissa Township, Northumberland (now Columbia) County, Pennsylvania. He died on March 5, 1828 4 in Washington Twp., Wayne Co., Indiana. He is buried in the Franklin Cemetery, Washington Twp., Wayne Co., Indiana. Levi was apparently orphaned as a child and continued to live in what is now Columbia County, Pennsylvania with relatives. It was in Pennsylvania that Levi was married on November 2, 1797 to Rachel Field, a Quaker. According to family, she was disowned from the Quaker faith for marrying Levi, whose family had been disowned many years earlier. In 1800, they were still living in Northumberland (now Columbia) County, Pennsylvania. They remained in Pennsylvania until at least 1806. Sometime between 1806 and 1808, they moved out west to Ohio. In Ohio, Levi was a resident of Fairfield County, where he received a land grant 5. Sometime between 1809 and 1811 (probably in 1811), Levi again most out west to what is now Wayne County, Indiana. There, they settled in the Green's Fork Valley in Washington Township. 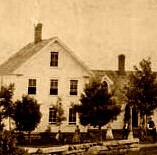 While living there, Levi served in the Indiana Militia during the War of 1812. Levi also served as a Justice of the Peace in Wayne County 6. Levi married Rachel Field on November 2, 1797 in Pennsylvania. She was born on February 20, 1780 in Abington, Philadelphia (now Montgomery) Co., Pennsylvania 3. She died on March 10, 1851 4 in Washington Twp., Wayne Co., Indiana. She is buried in the Franklin Cemetery, Washington Twp., Wayne Co., Indiana. 1 Robert Willits was born on October 2, 1798 in Pennsylvania. He died in September 1869 in Van Buren Co., Iowa. He married Sarah Beard on February 1, 1820 in Wayne Co., Indiana. 2 William Willits was born on March 3, 1800 in Pennsylvania. He died on May 24, 1850 in Wayne Co., Indiana. He is buried in the Franklin Cemetery, Washington Twp., Wayne Co., Indiana. Many online source give William a middle initial "W", yet I can find no contemporary evidence that he ever used a middle name or initial. 3 Mary Willits was born on March 6, 1801 in Pennsylvania. She died on August 20, 1869 in Wayne Co., Indiana. She is buried in the Franklin Cemetery, Washington Twp., Wayne Co., Indiana. 4 Sarah Willits was born on June 12, 1806 in Pennsylvania. She died on November 23, 1880 in Dublin, Wayne Co., Indiana. 6 Hiram Willits was born on May 4, 1815 in Wayne Co., Indiana. He died on July 19, 1818 in Wayne Co., Indiana. He is buried in the Franklin Cemetery, Washington Twp., Wayne Co., Indiana. 7 Melissa Willits was born on June 5, 1818 in Wayne Co., Indiana. She probably died before 1820. A child from her age group is missing from the 1820 census. She is also absent from her father's estate papers of 1828. She probably was buried in the Franklin Cemetery, but unfortunately there is no record of her burial there even though there is for her two brothers who died during the same time period. 8 James Monroe Willits was born on June 5, 1818 in Wayne Co., Indiana. He died on April 8, 1906 in New Boston, Mercer Co., Illinois. He married first Sarah Ann Meyers on September 29, 1840 in Wayne Co., Indiana. She died on September 23, 1849 in New Boston, Mercer Co., Illinois. He married second Sarah Augusta Prouty on June 27, 1850 in Mercer Co., Illinois. She was born on April 30, 1832 in Mercer Co., Illinois and died on December 5, 1895 in New Boston, Mercer Co., Illinois. 9 Waldo Willits was born on October 28, 1821 in Wayne Co., Indiana. He died on July 30, 1823 in Wayne Co., Indiana. He is buried in the Franklin Cemetery, Washington Twp., Wayne Co., Indiana. Vashti Willits was born on or about September 24, 1808 1 in Ohio, possibly in Fairfield County. She died on August 6, 1873 1 in Salt Creek Twp., Chariton Co., Missouri. She is buried in the Williamson Cemetery, Mendon Twp., Chariton Co., Missouri. Vashti was born in Ohio. Although we don't know where in Ohio she was born, it is probable that she was born in Fairfield County, Ohio; where her uncle was living in 1805-1806 and where her father was living in 1809-1811. Sometime in her youth (probably in 1811), the family moved to Wayne County, Indiana. Vashti was raised on the family's farm in Washington Township, Wayne County, Indiana. It was probably there that she was married to John E. Dunham on September 26, 1826, two days after her 18th birthday. John and Vashti settled near the village of Centerville in Center Township, Wayne County, Indiana. Vashti had 7 children: Mary, Margaret, William, Peyton, Lydia, John, and Robert. After nearly 25 years of married life in Indiana, John and Vashti decided to move. Sometime between about 1852-1855 (probably closer to 1855), Vashti moved with her family out west and they settled near Salem in Henry County, Iowa. In about 1859 they moved to Potosi, Linn County, Kansas, but only remained there about a year or two before returning to Henry County, Iowa, by 1862. Sometime between 1862 and 1865, they moved back to Kansas, this time settling in Delaware Township, Leavenworth County. Vashti remained here until 1867, when she moved with her son Peyton to Chariton County, Missouri, where they settled in Salt Creek Township. At the same time or shortly before then, Vashti's husband left by himself to move to New Mexico to engage in silver mining. He was never able to return to his family and died there. Vashti died at the age of 64 while living in her son Peyton's home. Vashti married John Ellison Dunham on September 26, 1826 in Wayne Co., Indiana 2. 5. Riegel, Mayburt. Early Ohioans' Residences from the Land Grant Records. Ohio Historical Society, 1976. 6. History of Wayne County, Indiana, Together with Sketches... Volume 1, Inter-State Publishing Co., Chicago, 1884.